Anybody who knows me well knows that I have a soft spot in my heart for California — and now California is keeping my skin soft every single day. 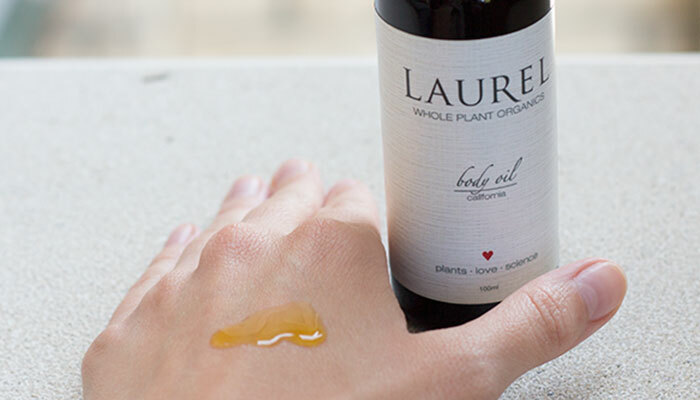 Laurel Whole Plant Organics’ California Body Oil brings a bit of golden state goodness to my skin that I just can’t get enough of each morning. The newly rebranded line — formerly known as Sequoia Beauty — is packaged in chic Miron glass draped in a minimal crosshatch-pattern label bearing a strong font with founder Laurel Shaffer’s name on it. I must say that the new look of Laurel’s creations appeals to me; it looks beautiful on the vanity and feels incredible on the skin. Though I never tried Sequoia Beauty before it evolved into Laurel Whole Plant Organics, I believe Laurel made the right decision in her rebranding! The ingredients she uses in her collection are luxurious, and her philosophy behind using whole plants in her creations is smart; this now comes across beautifully in the new packaging and design. But besides how pretty the outside of Laurel Whole Plant Organics’ products look, we all know what really matters is what’s inside each Miron glass jar. The combination of floral, woody and earthy scents makes for an interesting scent that’s feminine yet grounded — and perfect for every day. I find that it doesn’t compete with my daily natural perfume (typically rose or some other floral-based scent), which is one reason why I’m constantly drawn to this body oil out of my vast collection. 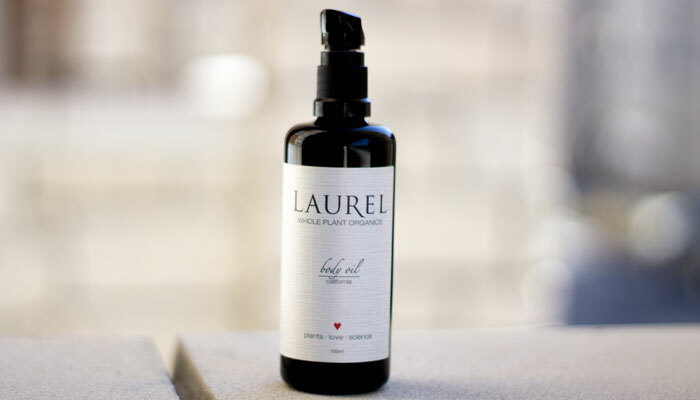 Another reason I may be drawn to Laurel Whole Plant Organics California Body Oil every day is because the formula includes a house-made gem essence to encourage self-love and acceptance. For those of you who think that gemstones and crystals are for kooks, you can stop reading right now. I used to raise my eyebrows at it, too, but I’ve become very drawn to the physical and spiritual healing powers of gemstones and crystals. I’m a firm believer in the idea that the body and mind gravitate to what it really needs at any given point in time — mine tend to be more yoga for opening the mind and heart and more avocados for healthy fats and a feeling of indulgence. My gravitation to Laurel Whole Plant Organics California Body Oil’s formula may just have something to do with my focus on opening my heart chakra and nurturing it a bit more. The heart wants what the heart wants, right? My heart is definitely with California. 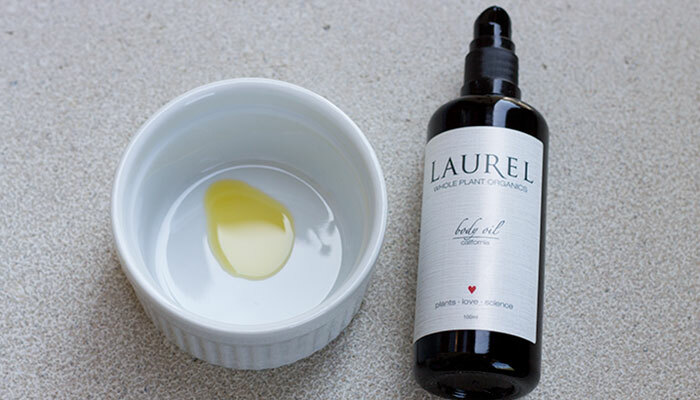 And while you can’t buy love, you can buy Laurel Whole Plant Organics California Body Oil. I know I will be repurchasing it! Have you tried anything from Laurel Whole Plant Organics? What do you look for in a body oil? Tell me in the comments section!